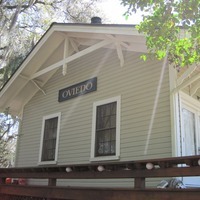 The Oviedo Depot, originally located at 520 South Lake Jessup Avenue in Oviedo, Florida, in 2014. 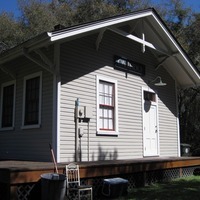 The depot was built in 1886 as part of Henry B. Plant's (1819-1899) railroad system. The Plant System ran from Jacksonville to Key West. 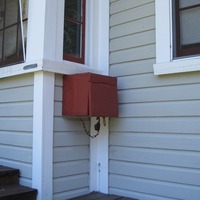 The design of the depot was based on the design standards set by the Plant System. 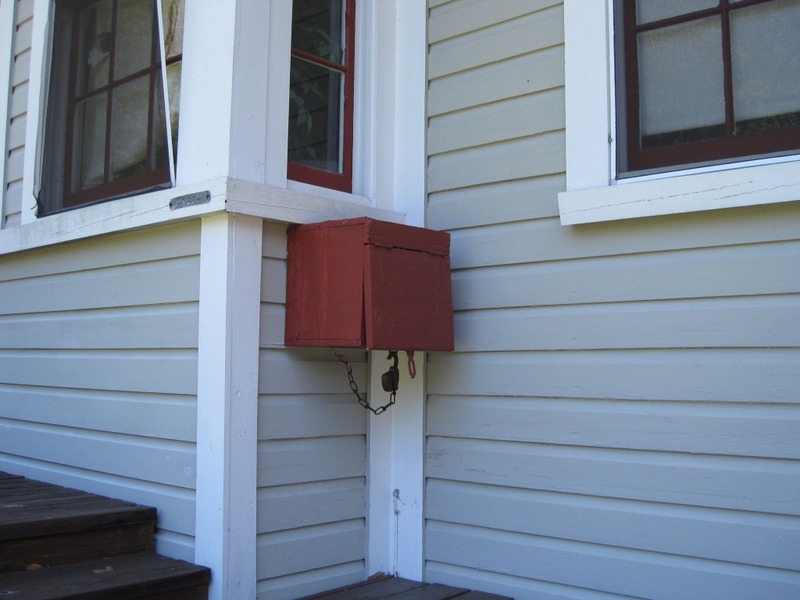 This standardized system for the Florida lines had three depot styles based on the population of the town or city it serviced. 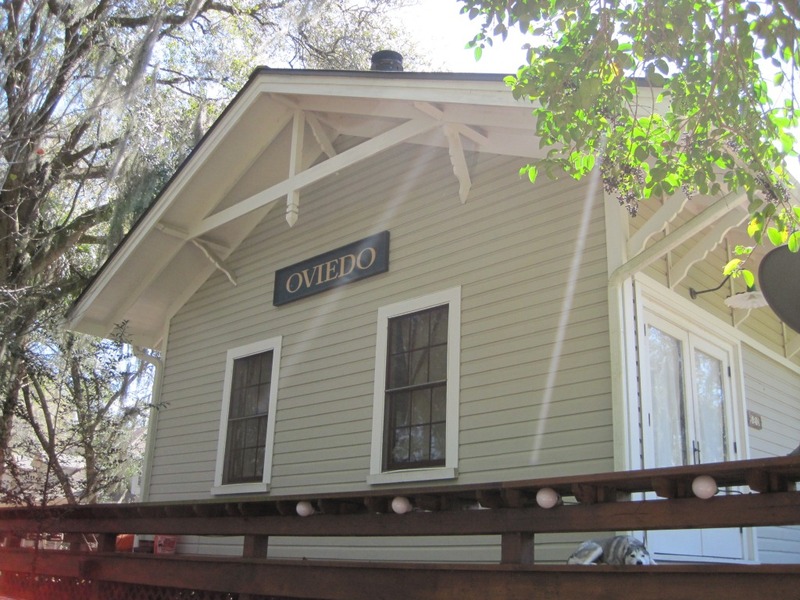 The Oviedo design was the small town wooden depot design, as opposed to the larger cities that had brick depots. 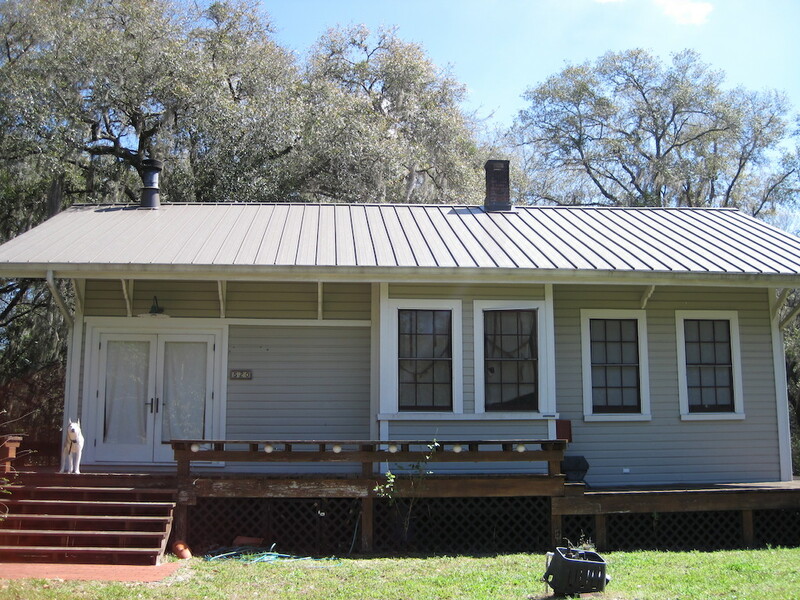 The depot was later moved to its present location at 636 South Lake Jessup Road. Original 5 x 4 inch color photographs by Eric Smalls, March 2014. Digital reproduction of original 5 x 4 inch color photographs by Eric Smalls, March 2014. 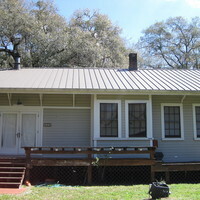 Originally created and owned by Eric Smalls. Copyright to this resource is held by the Eric Smalls and is provided here by RICHES of Central Florida for educational purposes only. Smalls, Eric. 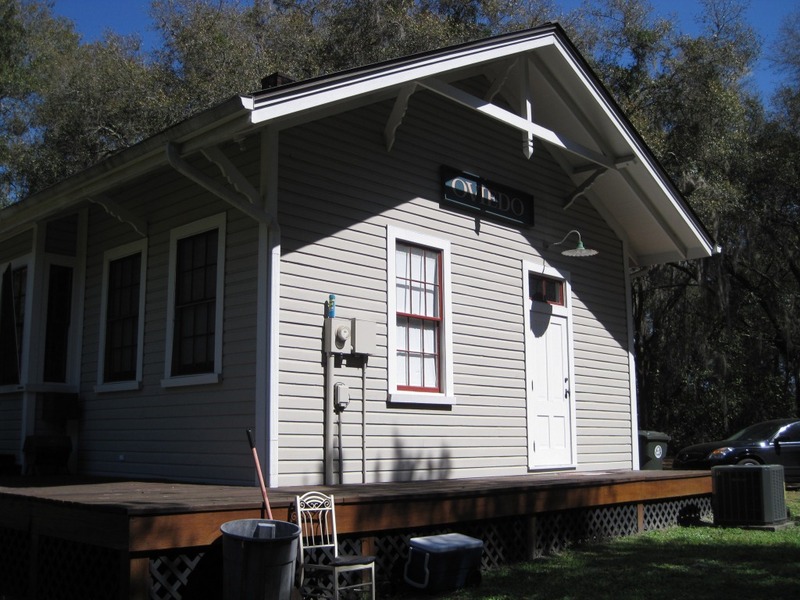 “Oviedo Train Depot.” RICHES of Central Florida accessed April 22, 2019, https://richesmi.cah.ucf.edu/omeka/items/show/5100.